Recently HMD Global had announced the Roadmap for Nokia devices Android 9 Pie update, and it has been initially started with the release of Android 9 Pie update for Nokia 5.1 Plus. The news was shared by HMD Global executive on Twitter, and users in India has been receiving updates on their Nokia 5 TA-1053 devices. The major drawback of expensive Android devices was that manufacturers could not be able to support devices generally after one, two or maximum three major operating system updates. But this has been not the case with HMD Global. Which has been stick to its promise of ‘Pure and Secure Android’ since its anticipation. We have managed to get change log through a user ‘Deepak’, and we are here posting the same for you. The OTA Android 9.0 update for Nokia 5 TA-1053 with version no. v6.12E is rolling out, and it is 1.68GB in size. It packs new features including new system navigation, settings menu and notifications, Adaptive Battery power prioritization for users most commonly used apps/services, Adaptive and optimized brightness levels, Predictive Application Actions, Google Security Patch 2019-01. The Android 9.0 Pie Update v6.12E is rolling out for Nokia 5 TA-1053 users, and we have posted screenshot of the Pie update with version number 6.12E. If you were waiting for the arrival of Android 9 Pie update for your Nokia 5 device, and you have not received it yet, then your wait ends here, as we have posted the Android 9 Stock ROM for Nokia 5 here in this post, so you can just flash it manually, if OTA update didn’t shown yet. Step 1: We assume that you have downloded the OTA Zip from the pre-requisite section, and then proceed to the next step. 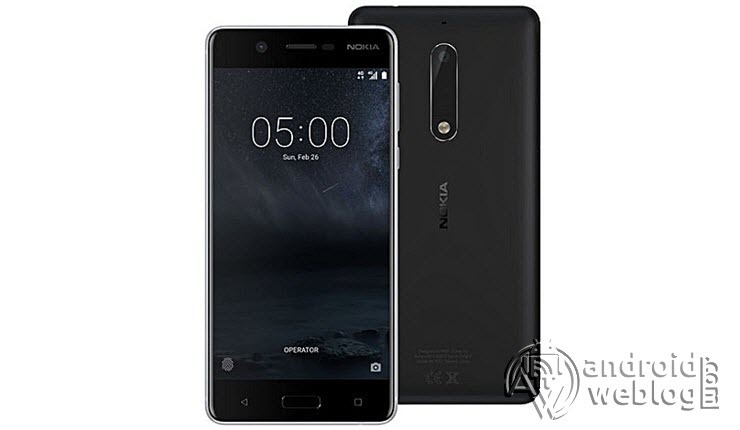 Step 2: Now, connect Nokia 5 TA-1053 device to the computer and copy and paste OTA Zip file to the root/ internal storage. Step 4: Now, this will finish the update and then phone would get restarted, once the process completed. Step 2: Now, copy and paste the OTA Zip file to the folder where you have stored the ADB/ Fastboot files. The device ID would be displayed after running this command, which verifies that connection between the device and PC has been established successfully. Step 6: Now, tap the back button to return into the recovery menu. When the option appears, simply tap on the button “Reboot system now”. That’s all, here we go. You have successfully upgraded your Nokia 5 TA-1053 device with the Android 9.0 Update.